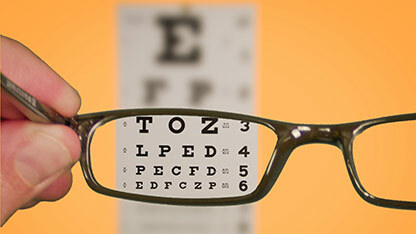 Every couple of years, I notice my vision starts to bother me and I have to make an appointment to see an eye doctor—mainly because my eyeglass prescription has changed. I can’t see things the way I normally do. I can’t focus and the world becomes a struggle to visually understand and the world stops making sense. The main tool I use as a visual designer has become my greatest weakness—my eyes. The tools of my trade become useless without them. Design is the same way, we have to refocus every couple of years or else you’ll lose focus and your design world will stop making sense. By refocusing, I mean taking an inventory of what we understood to be good design and what tools we have to learn or relearn. Design understanding and education does not end when we leave art/design school. We need to refill our visual prescription every couple of years in order to stay relevant in our chosen profession. It would be nice to have some kind of certification or license to practice design, where we have to renew our license just like our fellow health practitioners. For those of us who are losing our design focus, it’s time to get the help you need—refocus, reeducate, and retool. That’s what the doctor ordered!! !